Star Sign ADDICTIONS: What Can't YOU Live Without!? We all have our vices, things we couldn’t possibly live without. I think all of us could admit to having a bad habit or two…and not just snoring or drinking the juice from the carton, but things that are ACTUALLY bad for us…and things that are perhaps not in the best interest of those around us. But, none of us are perfect…and sometimes a bad habit or two (in moderation) can make our lives a bit more interesting! Check out our list of addictions based on your Star Sign and see what is most likely to lead you into bad, (yet oh so good) ways! 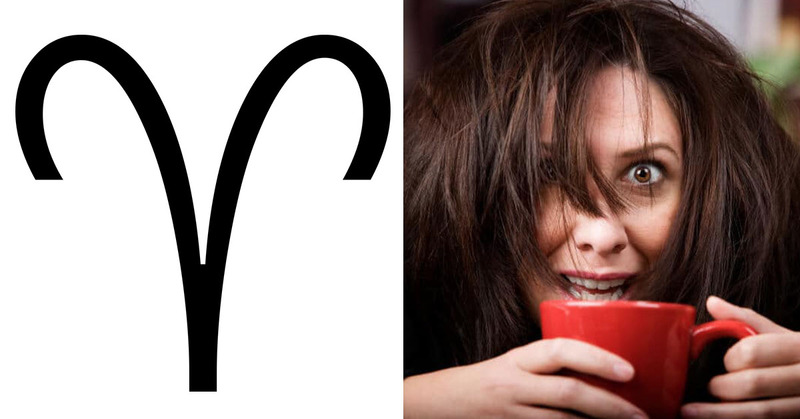 Aries peeps are well known for being the energetic ones of the zodiac, so it stands to reason that the Rams will have a particular vice for something that will keep them alert and reckless 24/7! Probably best to hide the caffeine from your Aries buddy, if you don’t want them bouncing off the walls all day! Food is definitely the answer for the Taurean gang! In true Bull style, they have the huge appetite to match their sign. They use food as a way to both celebrate AND drown their sorrows. Don’t try and compete for their attention if they’re eating…you just WON’T win! They live for their smoke breaks and see it as a good way to socialize. Gemini’s love to talk and get things off their chest, so what better way than with a therapeutic natter over a cigarette!? Cancerians are sweet, kind and get hurt easily, so sometimes the attraction of numbing the pain becomes all too great! If you have a headache and don’t have any painkillers, find your Cancerian friend.. the Crabs of the Zodiac will always be packing painkillers! Most Leos are all about themselves, so it stands to reason that they will be more inclined to treat themselves well…& if that means spending every penny on themselves, then so be it! Leos have a tendency to be narcissists, so if they can make themselves look flashier & better than everyone else, then they’re happy! Virgo’s often go out of their way to help, love and care for others, but with that, comes the risk of attracting people who take advantage of them, so sadly and all too often, their kindness just doesn’t get reciprocated. Hence, they are more likely to fall prey to toxic relationships. Librans are the social butterflies of the Zodiac, so it makes sense that social media would be their ultimate addiction. They totally care how many likes they got on that new selfie and their phone is probably never far away from their hands! Scorpians are intense, fiery and controlling…and that doesn’t stop in the bedroom! They take their ‘performance’ very seriously and won’t cope well with going without it, or with having a relationship that is lacking in intimacy. With wanderlust abound, Sagittarians are the ones who are always crossing things off their bucket lists on a daily basis, traveling the world and longing for road trips! They can’t go long without a spontaneous trip to somewhere new and exciting! Capricorns just haven’t got it in them to their waste their time on things that don’t matter to them! Working hard and achieving their goals is on top of any Capricorns priority list! They work hard and often, work is their main priority, even at expense to their own well being and the people around them. Aquarians are prone to living in a fantasy world, so anything that will distract them from life and help them escape is their holy grail…so books and/or video games are the perfect indulgement to any Aquarian. You may not think books would be a bad thing…but sometimes it can be a hard task getting an Aquarian back down to the real world! Constantly wearing their heart on their sleeve, Pisces peeps are a sucker for a fairytale romance! With easily bruised hearts and sensitive natures, they just want someone to love them! They will do anything to make their innermost feelings felt and won’t leave anything to the imagination! Well, I can’t speak for everyone, but I’m an Aries and I basically live on Tea to keep me going! I’m next time I go for a blood test, it’ll be pure PG tips! So mine was scarily accurate! How accurate was it for you? Let us know!